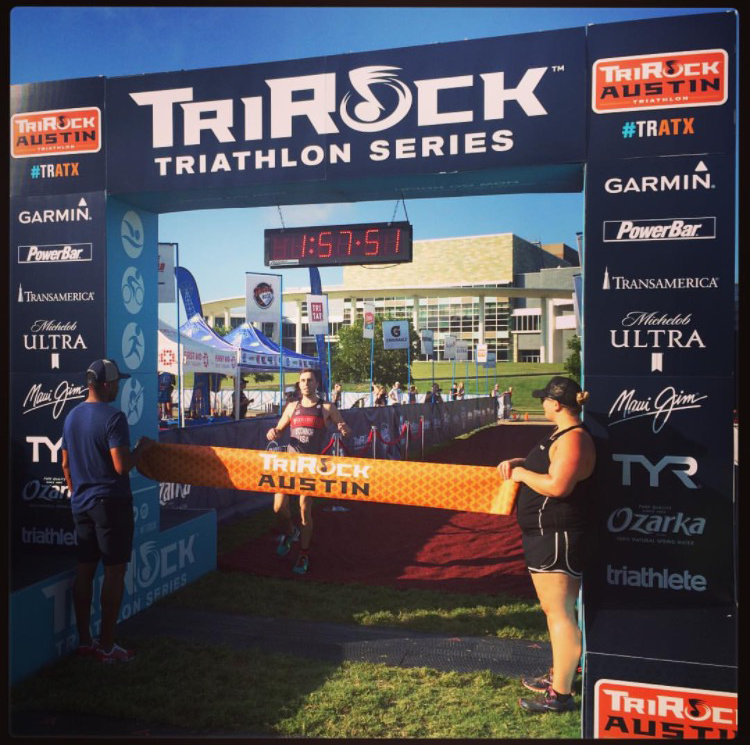 The TriRock Olympic race on Labor Day in Austin was a big win for me, but it came with a big scare and a price. I led from the start and never looked back. 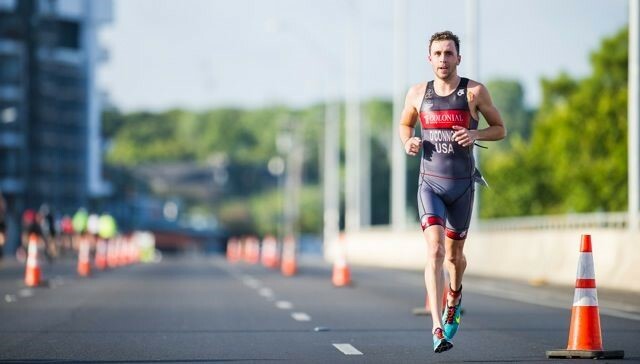 Coach Brent has always told me “Fly or Die” in training and racing, and I executed this pretty well. Conditions were challenging for the competitors due to warm temperatures in the water and the air. Town Lake was 81 degrees at the start, bathwater temp for athletes. By the race finish after 9 am, the air was 80 degrees with 83% humidity. Looking back on it, I didn’t realize how much I was in a zombie state during the race. Late that afternoon, I realized I had hallucinated towards the end of the run. I had thought my host for the previous night, Roric Fink, dad’s old swim coach and currently Assistant Coach of the University of Texas women’s swim team, was there watching me race along with the entire women’s swim team. Even more ridiculous, I thought they caught me when I collapsed at the finish! I think the main trigger for the heat stroke was the warm water. America’s great open water swimmer, Fran Crippen, died of heat stroke in 2010, in Abu Dhabi, swimming in 87 degree water. Once the TriRock medical team got me to the medical tent and down on a cot, I began throwing up. They quickly gave me an IV and covered me in ice cold towels. I spent about an hour and a half there, not really sure what was going on until the end. The EMT’s told me my body temp hit 104. I am thankful for the skilled medical team and how well they took care of me. They advised me to take a full week off from any training, and then ease back in. This would be tricky, as the next collegiate conference series race, Trifecta at Possum Kingdom Lake w as in just 2 weeks, on September 20. I planned to take a few days very easy, eat and sleep well, and then get back into normal training as long as I felt good. Fortunately, I recovered really well. I wish I could get an IV after every race now!